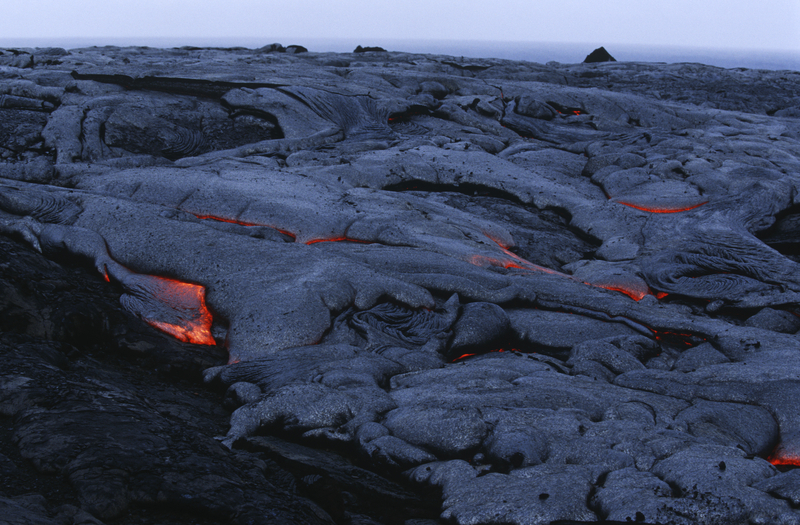 1 – Hawaii Volcanoes National Park : How many vacation destinations feature a live volcano? 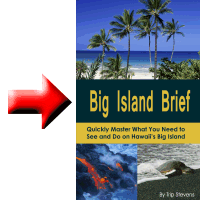 Come to the Big Island, visit Volcanoes National Park and chase a lava flow. Hike through the Thurston Lava Tube or the Kīlauea Iki trail. See the steaming Kīlauea Caldera from the Kīlauea overlook. This is a destination for kids of all ages. 2- View a tropical sunset from the Kona side : There is no denying the beauty of a Hawaiian sunset. They are simply unforgettable and plentiful on the Big Island. 3- Gorgeous white sand beaches : Hapuna beach and Mauna Kea beach are classified as world class beaches and reasonably so. 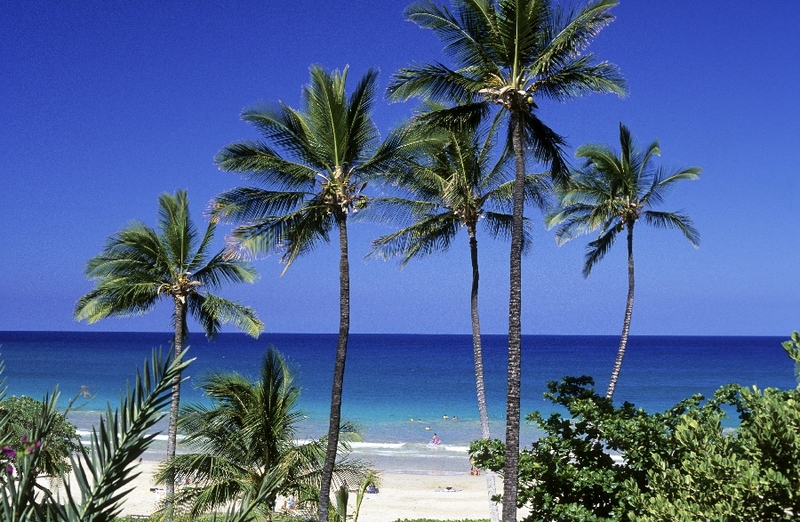 Your Hawaiian vacation would not be complete without a day or two lounging on a beautiful beach. 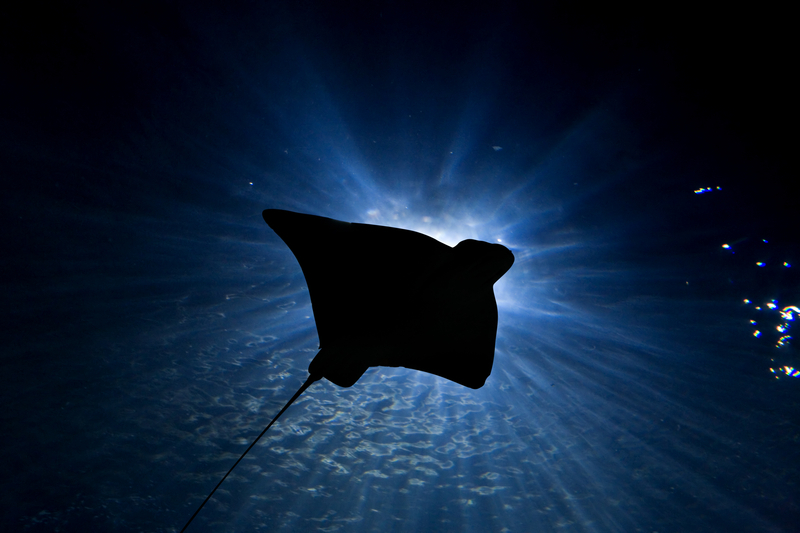 4 – Night diving with the manta rays : The Big Island is one of the best places to swim with the manta rays up close. Manta rays can get at big as 20 feet across and weigh 1,500 pounds. Diving with these giant, graceful creatures is what the travel channel ranks as one of the top ten things to do in your lifetime. If you don’t want to get in the water with them, you can still view them from the shore at locations like the Sheraton Kona Resort. 5 – Stellar snorkeling and scuba diving : Many rate the Big Island as having the best reefs in the state to dive. Favorite spots for scuba diving include Pine Trees and Red Hill . 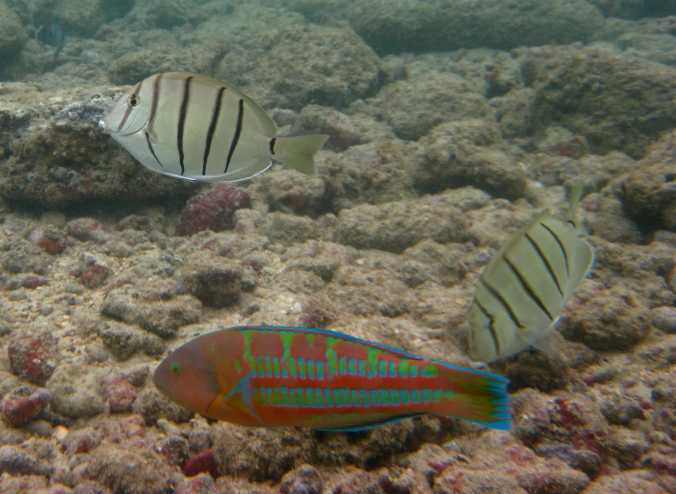 Hot spots for snorkeling are the City of Refuge (Honaunau Bay), Kealakekua Bay (Captain Cook), and Kahaluu Beach. With waters in the high 70’s in the winter and spring and in the low 80s during fall and summer, it is hard to go wrong. 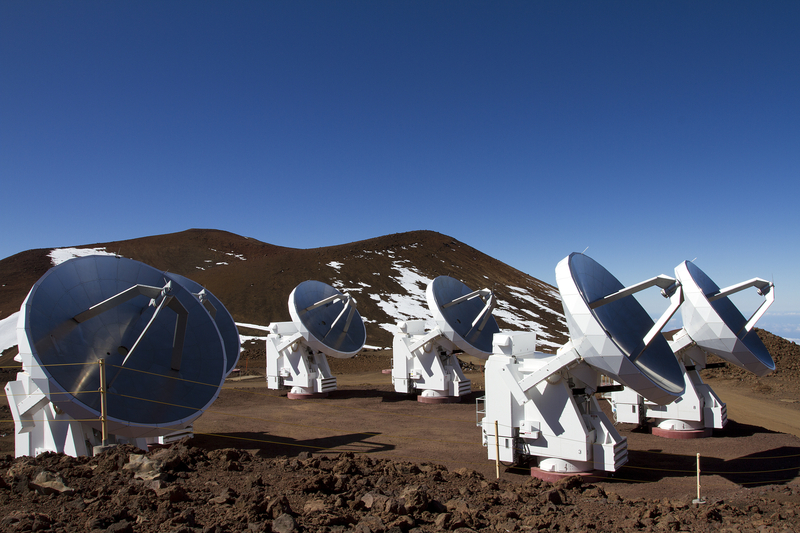 6 – Astronomy/Star Gazing : Due to the clean air, dark skies, low humidity, close proximity to the equator and its elevation, Mauna Kea is home to many of the worlds largest telescopes. Astronomers from all over the world come to Mauna Kea to view the heavens. Even if you aren’t a serious astronomer, there are plenty of opportunities for the less initiated to learn about the stars. There is a visitors’ center and a number of free stargazing programs there. 7 – Waterfalls : Your Hawaiian vacation would not be complete without a visit to some tropical waterfalls. 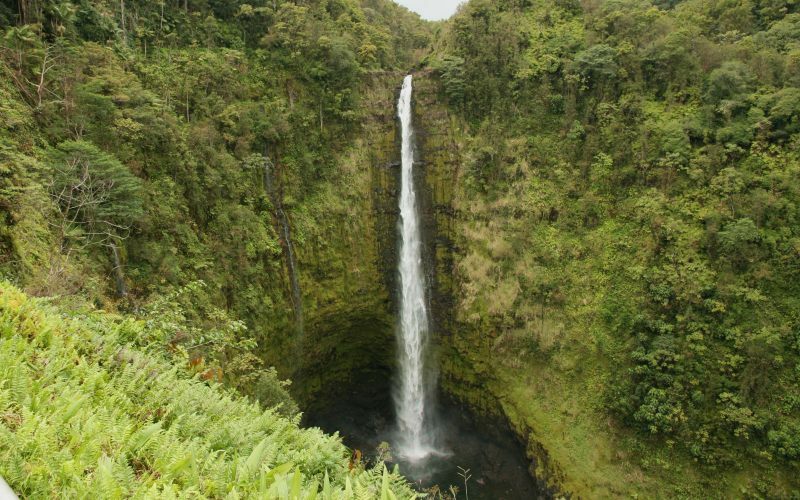 On the Hilo side of the Big Island, there are some must-see waterfalls: Akaka Falls, Rainbow Falls, and Pe’epe’e Falls. 8 – Horseback Riding : There are plenty of opportunities to explore the beauty of the Big Island on horseback. 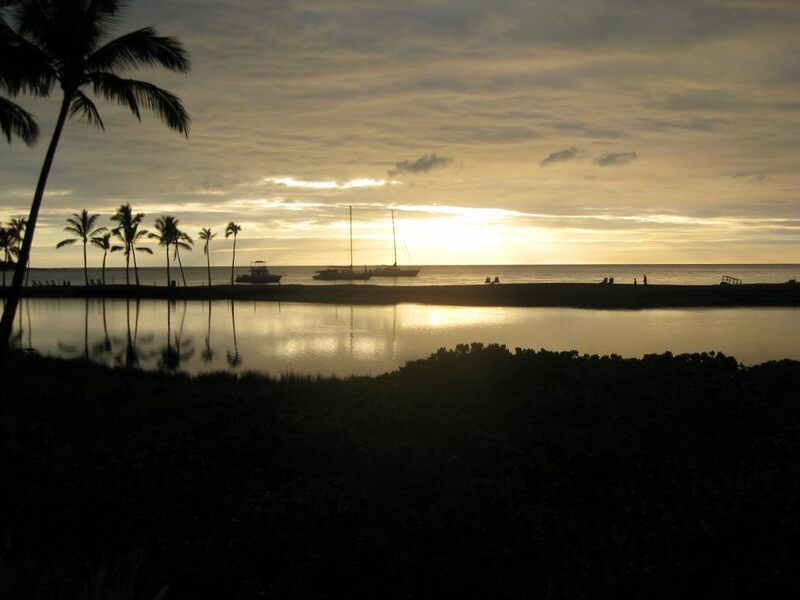 Locations include lush Waipi’o Valley, the scenic Kohala mountain range, or wide open Waimea. With backdrops like, waterfalls, lush green valleys, and the pacific ocean, a Big Island horseback ride will be unforgettable. 9 – Triathlons : On the Big Island, you can compete in a triathlon or support your favorite athlete competing in one. There are five major triathlons held on the big island: Ironman World Championship, Ironman 70.3 (also called Honu 70.3), Ultraman and two Lavaman competitions. There are also plenty of other competitions. The Big Island hosts three long range swimming events: Hapuna Rough Water, King’s Swim and the Ali’i Challenge. There are also a couple of big marathons: the Kona Marathon and the Big Island Marathon. 10 – Diversity : One thing I can honestly say about the Big Island is that it is never boring. It is overwhelmingly diverse. From its white sand beaches to its rough lava rock formations found all over the island, the geology spans quite a range. And the beaches aren’t just white sand beaches as you will find black sand beaches and a green sand beach. Visit the deep and breath-taking Waipi’o and Pololu valleys. Visit the Muana Loa Macademia nut factory by Hilo. Drive down Ali’i drive in Kialua Kona and see the rich Hawaiian history along with farmers markets and the popular road-side beaches. See sea turtles on beaches all around the island. The Big Island has 8 of the 13 world climates: from tropical monsoon to hot desert. No, you won’t get bored here. The Big Island is the destination for one of those vacations you will remember for a long long time. Pack your bags and come on over.